The most awaited Pay Stub Maker Offer of the year is here! Be ready with your upcoming pay stub checklist as you are about to enjoy the never heard before offering on paychecks exclusively by stubcreator.com. There are innumerable benefits of making paycheck stub online and when you have a go-grabbing opportunity in front of you; it is definitely an opportunity not to be missed. How to make most of Pay Stub Maker Black Friday Offer? Pay Stub Maker by stubcreator.com already has an amazing offer for new users all around the year. All first-time users can avail FLAT $3.99 OFF on their first pay stub order. It is not to be mentioned that you can make paycheck stub online at the lowest cost with us. You’re already saving a lot more than paying to accountants or freelancers. Related Read: Why Check Stub Maker rocks over outsourcing Payroll? As there is no limitation on the number of paychecks you can make at a time, keeping the following things in mind will help you make most of the offer. Check them out! Make a list of pay stubs to be made in near future and line out the details accordingly so you can start making stubs without wasting time at the end moment. Large Firms, as well as small store owners, can take this offer as a golden opportunity to save a big amount on the total bill. This ultimately means that the more you make, the more you save. If you are a freelancer and have more upcoming projects lined-up, plan your earning statement in advance with our check stub maker offer. This way, you will be benefitted in two ways, time and money saved. As the year-end is arriving soon, you will have to calculate your pay. Instead of doing it later, you can do it now and avail offer too. 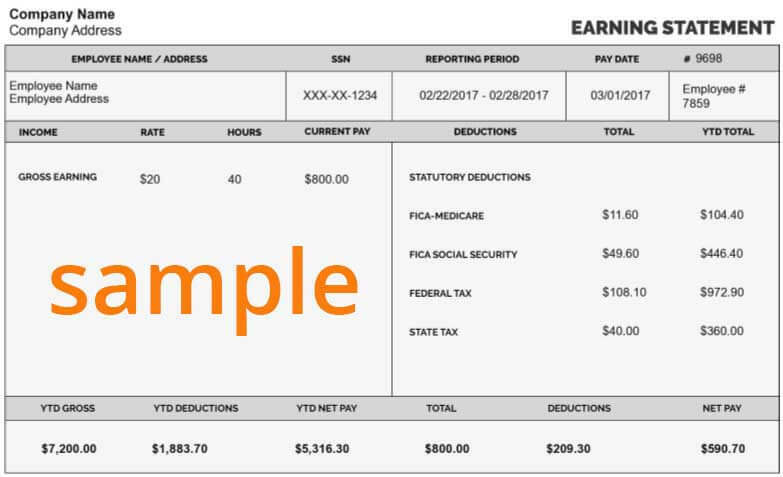 For those who think that using pay stub templates is not affordable for them, now you can use the check stub templates and pay less for them on total order amount. Enjoy FLAT 30% OFF on Black Friday Weekend i.e 23rd-24th-25th November 2018. Don’t miss this chance.